that are needed on the European market in order to advance methodologies in this cutting-edge technology. * As ESR 8 within this project, you develop methodologies to combine low-, mid- and high-frequency models into a single model that can render sound in the full audible range, e.g. through parallel filter banks for different frequency bands. To this extent, you will have to balance the computational load and physical accuracy of the different techniques and models into a robust methodology. In this way, you will effectively speed up acoustic simulations, e.g. in view of room acoustics modelling. 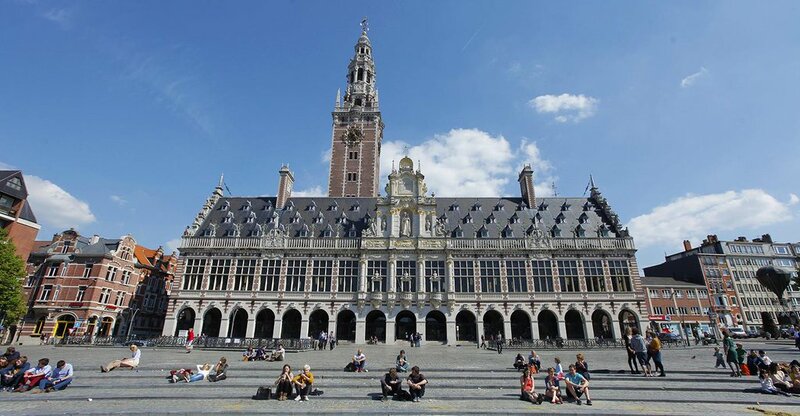 * The PhD is hosted by the KU Leuven Noise and Vibration Research Group, which currently counts 90 researchers and is headed by Prof. Wim Desmet (https://www.kuleuven.be/wieiswie/en/person/00011973) and is part of the Mechanical Engineering Department, a vibrant environment of more than 300 researchers. The research group has a long track record of combining excellent fundamental academic research with industrially relevant applications, leading to dissemination in both highly ranked academic journals as well as on industrial fora. More information on the research group can be found on the website: https://www.mech.kuleuven.be/en/research/mod/about and our linkedIn page: https://www.linkedin.com/showcase/noise-&-vibration-research-group/. * I have a master degree in engineering, physics or mathematics, obtained no longer than four years ago, and performed above average in comparison to my peers. * I am proficient in written and spoken English. * I have not had residence or main activities in Belgium for more than 12 months in the last 3 years. * During my courses or prior professional activities, I have gathered some basic experience with the physical principles of acoustics, and numerical modelling techniques, such as the Finite Element Method (FEM), Boundary Element Method (BEM), … , and/or I have a profound interest in these topics. * As a PhD researcher of the KU Leuven Noise and Vibration Research Group I perform research in a structured and scientifically sound manner. I read technical papers, understand the nuances between different theories and implement and improve methodologies myself. * Based on interactions and discussions with my supervisors and the colleagues in my team, I set up and update a plan of approach for the upcoming 1 to 3 months to work towards my research goals. I work with a sufficient degree of independence to follow my plan and achieve the goals. I indicate timely when deviations of the plan are required, if goals cannot be met or if I want to discuss intermediate results or issues. * In frequent reporting, varying between weekly to monthly, I show the results that I have obtained and I give a well-founded interpretation of those results. I iterate on my work and my approach based on the feedback of my supervisors which steer the direction of my research. * I feel comfortable to work as a team member and I am eager to share my results to inspire and being inspired by my colleagues. * I value being part of a large research group which is well connected to the machine and transportation industry and I am eager to learn how academic research can be linked to industrial innovation roadmaps. * During my PhD I want to grow towards following up the project that I am involved in and representing the research group on project meetings or conferences. I see these events as an occasion to disseminate my work to an audience of international experts and research colleagues, and to learn about the larger context of my research and the research project. * A remuneration package competitive with industry standards in Belgium, a country with a high quality of life and excellent health care system. * An opportunity to pursue a PhD in Mechanical Engineering, typically a 4 year trajectory, in a stimulating and ambitious research environment. * Ample occasions to develop yourself in a scientific and/or an industrial direction. Besides opportunities offered by the research group, further doctoral training for PhD candidates is provided in the framework of the KU Leuven Arenberg Doctoral School (https://set.kuleuven.be/phd), known for its strong focus on both future scientists and scientifically trained professionals who will valorise their doctoral expertise and competences in a non-academic context. More information on the training opportunities can be found on the following link: https://set.kuleuven.be/phd/dopl/whytraining.